Product Description Namaste In Bed. Revel in the peaceful ambience of the Zen King Storage Bed. 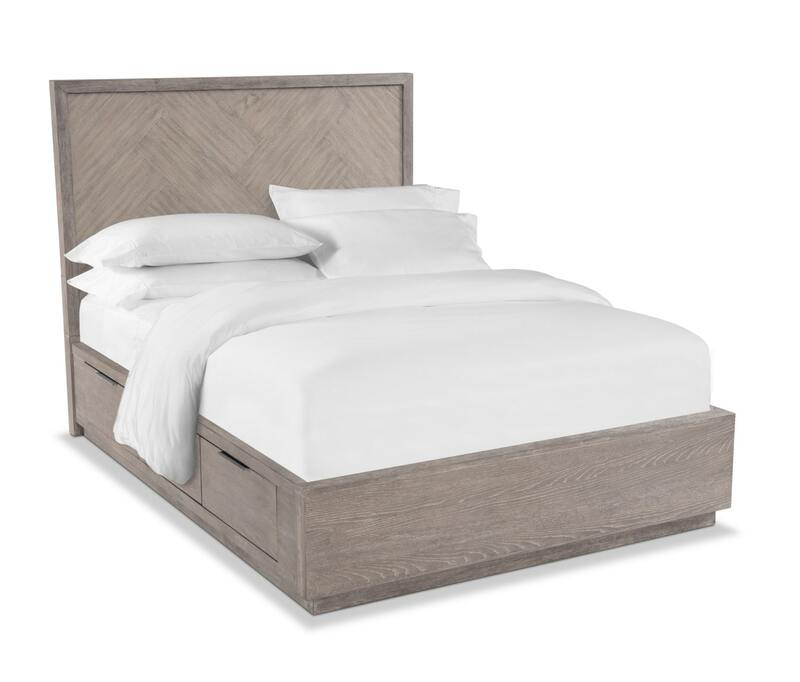 Distinguished by its contemporary lines and natural sandstone finish, this bed is anchored by a framed wood headboard that features a stunning herringbone pattern. The platform bed frame promotes adequate support and ventilation, while the sandstone finish emphasizes the natural wood grains and knots. Three underbed drawers are deep-set to accommodate bulky linens and blankets, and feature sleek chrome hardware that complement the contemporary vibe of the set. Customer assembly is required. Three underbed drawers are deep-set to accommodate bulky linens and blankets.